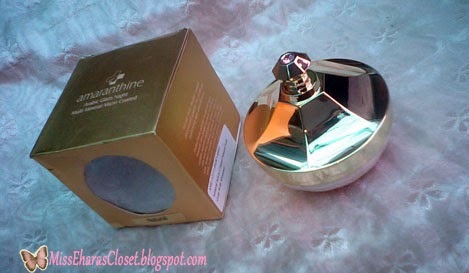 Amaranthine is a lokal brand from Indonesia. 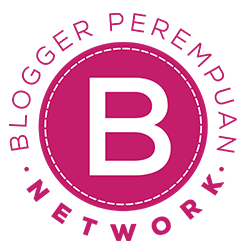 This brand was first introduced in 2002 and get a MURI record for most cosmetic product release, which is 400 items! Thats amazing record, but are the products as amazing as the record? Love at the first sight.. It took 4 days of the package I ordered to come to the house. I was fascinated by the seemingly lux packaging. The box packaging is on gold colour. But this is 100% made in Indonesia. 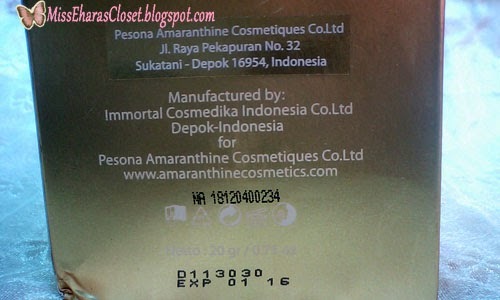 Amaranthine is lokal product from Depok, Indonesia. "Loose powder for all skin types. Maintaining healthy skin because it contains no harmful chemicals, and protect from ultraviolet rays and free radicals. Disguising black spots, blood vessels appear, and acne scars perfectly. Hydrates skin while absorbing excess oil production and not clog the pores of the skin ". The packaging is cute but is not great for traveling, too big and not practical! To be honest, packaging like this only looks pretty on your dressing table. I can smell the strong fragrance from the powder when I take this picture. Too bad they do not explain that this powder has a very strong scent! 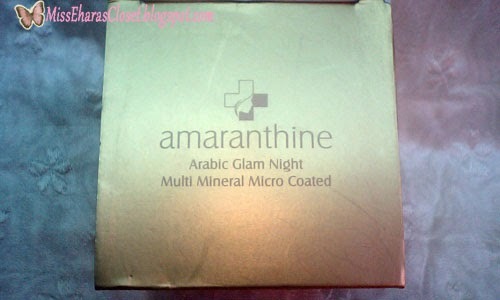 Amaranthine Arabic Glam Night scent is like the scent of my grandmother perfume. Maybe this is why they named it 'Arabic Glam Nigt', the scent is like perfume that my grandmother buy when she visited Mekkah. (>_<) I can not explain in detail about the scent because frankly, smell the scent made ​​my head dizzy! I wanna write about the ingradients but I cant open the website. I will update about the ingradients when I can open the website. 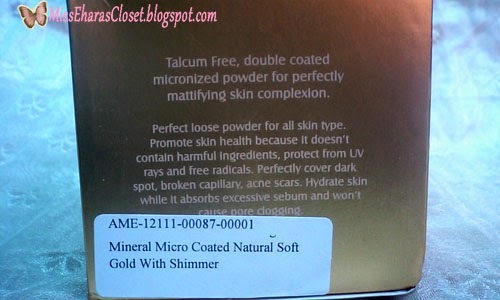 The packaging say, "mineral micro coated natural soft gold with shimmer"
Shimmer or glitter? because there are a lot of shimmer in the powder! Almost like a body glitter powder. ....it's contain a lots of gold glitter inside! 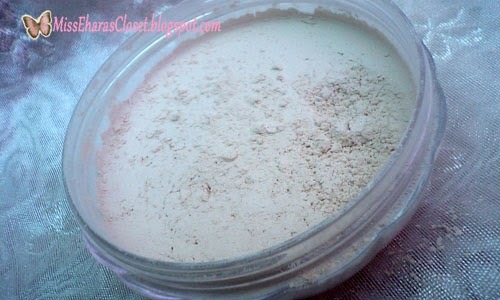 and strong fragrance makes me start dislike this powder! I was struck by the scent of this powder so I decided to just swatches it in my hands. 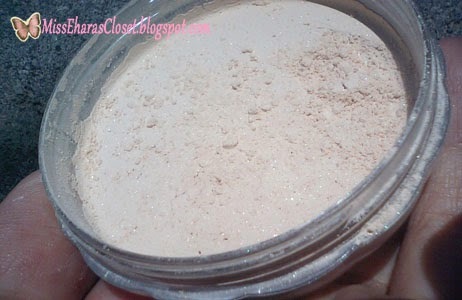 What I like and what I dont like..
And the thing I dont like is toooooo much shimmer or glitter on this powder! Im not sure is there's any people wanna go out with extra glitter on face for daily makeup (well, if you trying to makeup like vampire in twilight, you will love this powder! haha). Maybe this loose powder only perfect for party makeup or you can use it for body glitter powder. But hey! 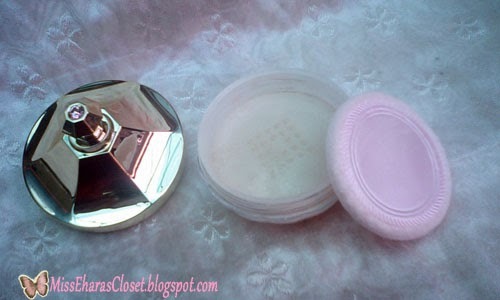 The good thing is you dont need to wear any fragrance is you wear this powder. 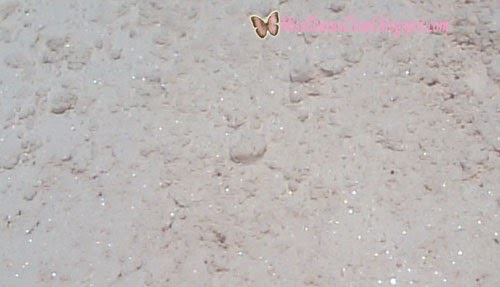 I give you zoom picture of the loose powder, can you see the glitter?!? Have you ever try Amaranthine loose powder? Do you like it? 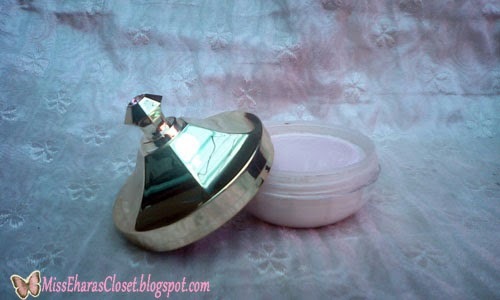 Or Do you like any scent powder? 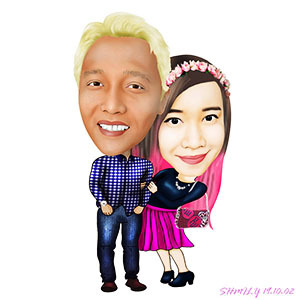 wkwkwkwk...jangan kru film twilight pake bedak ini! btw followed your blog, can we follow each other ? 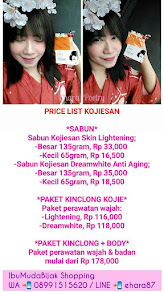 Woooow.. pas kamu bilang a lot Shimmer.. aku langsung pingin coba..btw, kemungkinan ini bedak untuk dipakai pada malem hari mba.. jadi wajah mu sedikit bling2 dikegelapan malam.. cocok kali ya untuk senguhan terakhir buat makeup pesga malem hari..
wkwkwk suka sama yg shimer2 ya sis? aku baru pertama kali denger brand ini :O beli dmn sih?